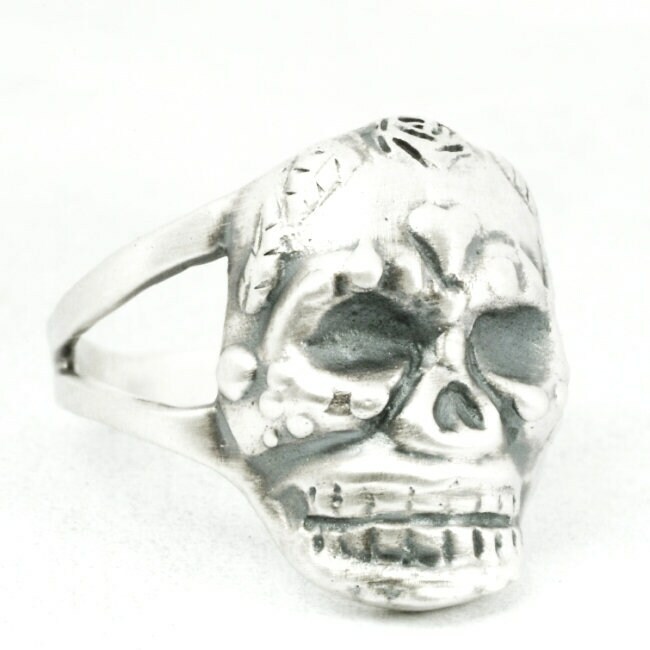 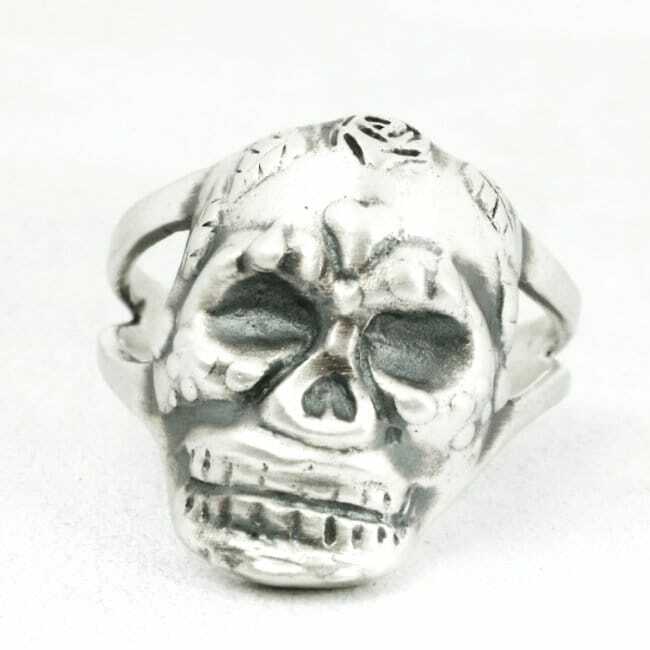 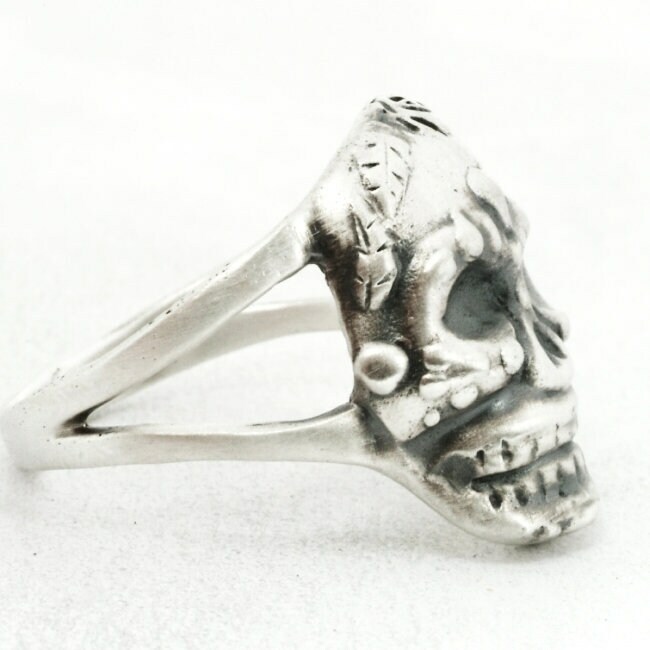 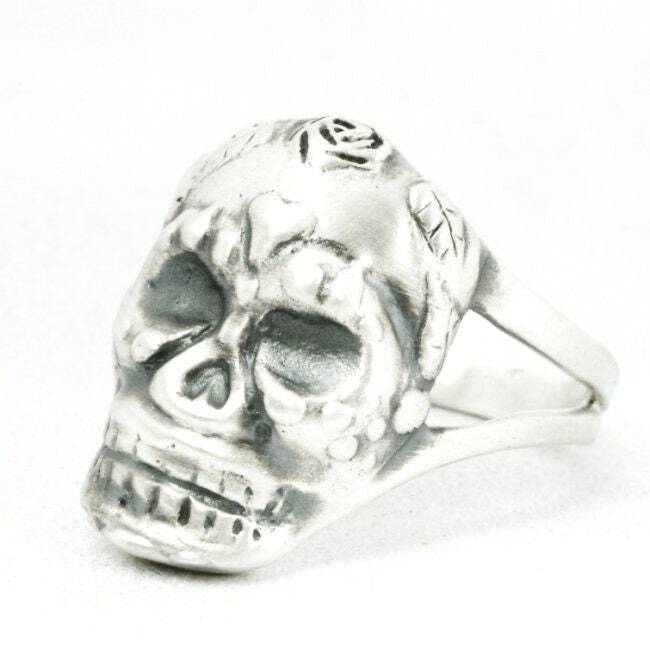 Sugar Skull ring handmade in sterling silver by the amazing Naomi of Spoonier! 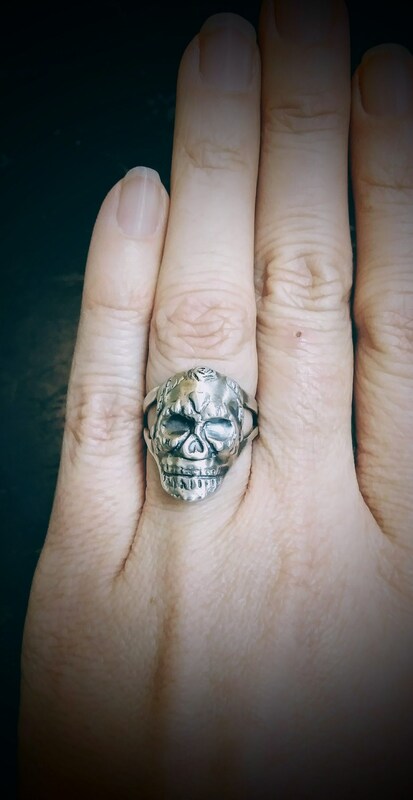 This ring was designed off a plastic skull ring we bought and Naomi added the details in wax, carving her own rose flower and leaves and heart, along with all the other little details by hand! 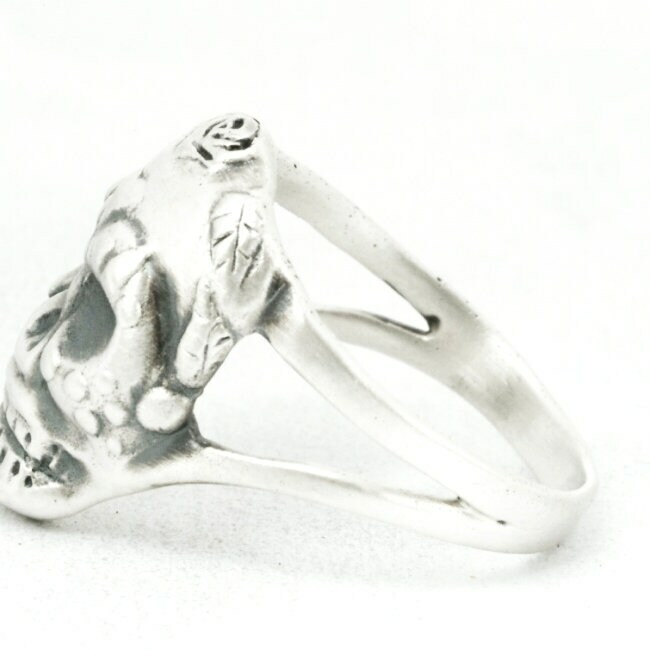 This ring took a lot of love and work to create and I hope you like it as much as we do! 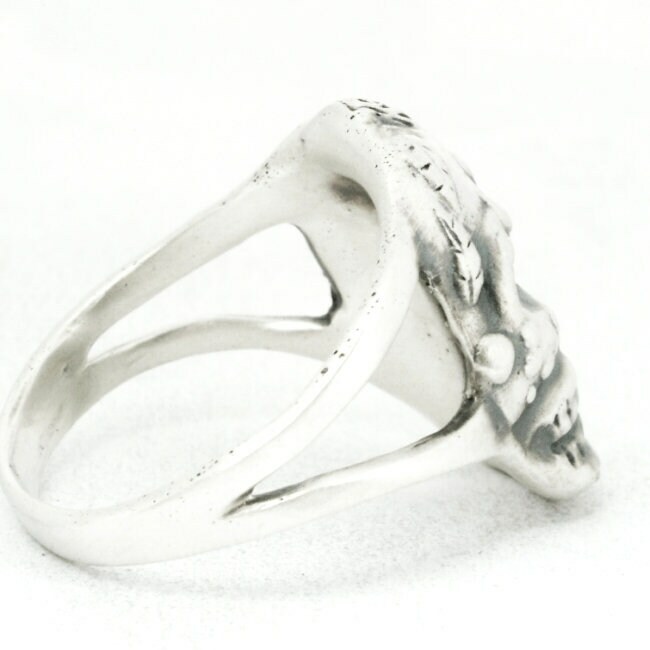 This ring is made of 100% recycled Sterling Silver we acquired by cutting the bowls from the vintage & antique sterling spoons we have made into rings! 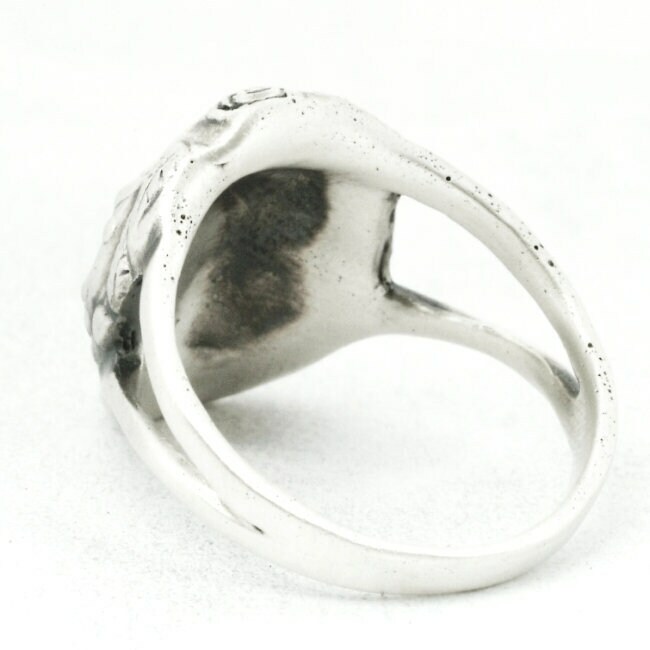 It's a delightful way to utilize all of our material and up-cycle the antique spoon silver into another super cool design. 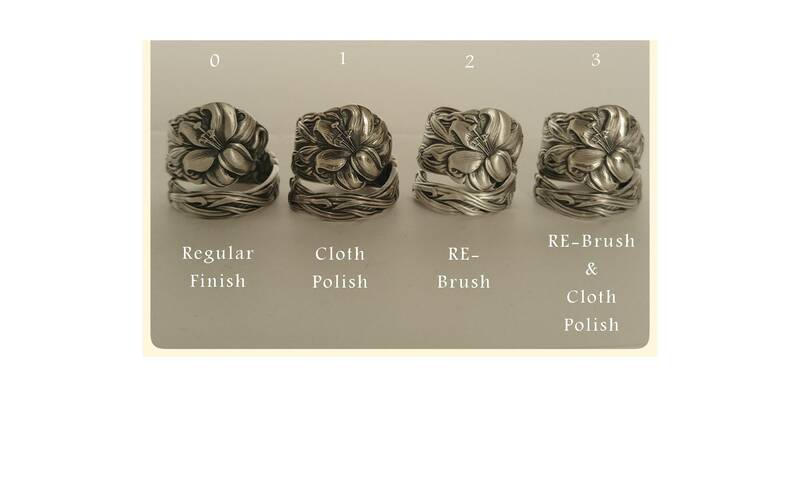 Dimensions: 20mm at widest point, tapers down to 3mm. 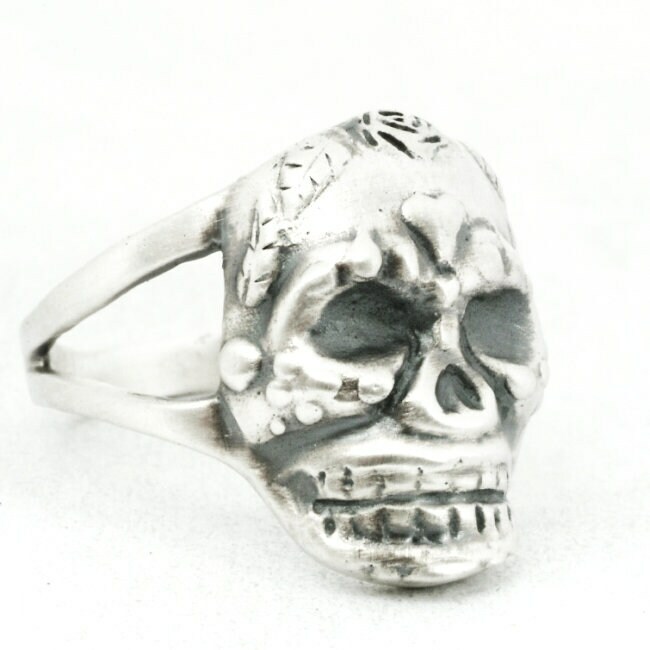 Size: US 6.25 and 7.5 are available right now, but hopefully we will be able to take custom orders soon!